Chairmat offers intermediate-weight vinyl construction, ramped edge and gripper back. Use on low-pile carpeting. 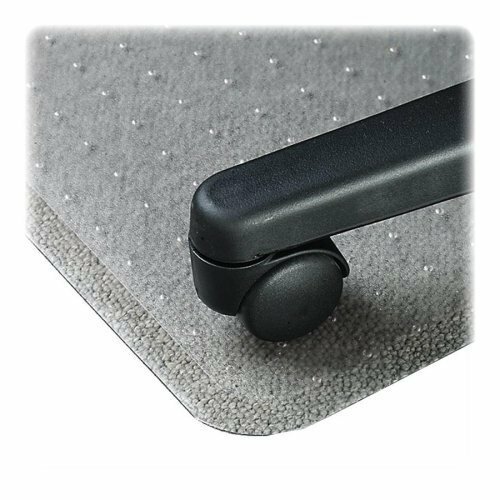 Crystal-clear chairmat offers a studded back to grip the carpet firmly and beveled edge for smooth chair movement.